The Irish Fire and Emergency Services Association (IFESA) today (Friday 16 th June) extended its deep sympathy to all of the victims – deceased and injured - their families and community in the wake of the Grenfell Tower fire disaster. IFESA further paid tribute to the professionalism, dedication and bravery of their fellow firefighters in the London Fire Service in responding to the unprecedented scale of the Grenfell fire. IFESA said there are clearly very many questions to be answered in the relation to the circumstances of the disaster, but the issue of the risks posed by ‘cladding' is one that has concerned fire fighters and has been raised at EU level by the European Fire Fighters Union Alliance (EFFUA with a membership of 240,000) of which IFESA is a member. Ros MacCobb , IFESA Vice President , said while it would be wrong to draw any wider conclusions from the London disaster there is absolutely no room for complacency regarding fire safety standards and compliance with these in the Irish context. The Irish Fire and Emergency Services Association (IFESA) said today (10th February) it is to commence a ballot of members for supporting industrial action by Dublin Fire Brigade members. This action is in response to Dublin City Manager's plans to go against all the evidence and expert reports, and proceed with his plan to take the Call & Dispatch function out of the control of Dublin Fire Brigade's Emergency Medical Services and assign it to the HSE. 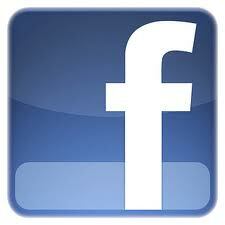 The Manager also refuses to resource additional Dublin Fire Brigade ambulances to meet the growing needs of the city. The Irish Fire and Emergency Services Association (IFESA) said today (Thursday) that one third of the city ' s emergency ambulances operated by Dublin Fire Brigade (DFB) were not available for service last night (Wednesday) because of mechanical faults. Dublin Fire Brigade operates 12 emergency front line emergency ambulances.In addition to this DFB has five spare / reserve ambulances bringing the total fleet to 17. However all of these spare /reserve were already in service as replacements for ambulances that were out of service with mechanical problems. Wednesday night and into Thursday saw a total of 6 vehicles not operational, leaving DFB short one ambulance for its operational frontline fleet (11 in service) with no reserve cover. At the same time on Wednesday night others ambulances were caught at the Mater Hospital after it went ‘ off call ' due to A and E overcrowding. Mr. Kidd said the mainly random nature of Eircode will mean that errors by users will not be conspicuous, will cause confusion and may be catastrophic in terms of sending services to the wrong location. ‘Response times for the emergency services are always critical and anything that makes them worse is not suitable for our members. 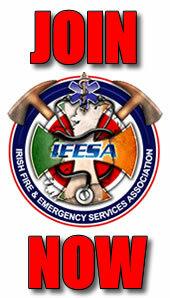 The Irish Fire and Emergency Services Association (IFESA) said today (Tuesday, 29 th April) that the level of response from the fire services to two recent incidents in Clare and Galway confirm its concerns on the impact of cutbacks on the emergency services. IFESA National Chairman, John Kidd said that in one incident in North Clare on Sunday only six fire fighters responded and had to travel a distance of nearly 30 km from Ennistymon which would have taken approximately 30 minutes from time of call to attending the incident. It was also worrying that no other stations responded to the incident. Regrettably the fire resulted in a fatality.